Katie has 20 years of experience in healthcare and has worked with a variety of medical technology companies ranging from venture-backed start-ups to Fortune 500 companies. 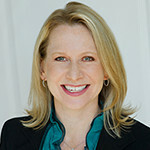 Katie founded and leads SPRIG Consulting, providing strategic marketing services. Katie and team work closely with clients on the entire spectrum of marketing needs: from early stage market development strategies to downstream launch execution and commercialization efforts. Prior to founding SPRIG, Katie’s career included sales and marketing management roles with Guidant Corporation and Kensey Nash Corporation. Katie holds an MBA from Northwestern University’s Kellogg Graduate School of Management and a BA from the University of Vermont. Katie is currently an adjunct Faculty member at Northwestern University’s Kellogg School of Business, where she teaches medical product commercialization and financing.